It has been a while, in fact it has been a year since the last feature. That is not to say the film scene has been bad, not at all. In fact I have simply been too busy. But I have had some submissions, and they are lovely. Check them out. A while ago I had the honor of being featured on JCH, in the “In your bag” section. I thought I could still share a bit more, so here is a picture of the various films I currently have at home. This could be some material for the “Show Us Your Film” section ! I hope you’ll like it. I used to rely on Trix 400 and TMax films a lot, but I’ve found myself using Ilford films more and more lately for anything Black & White. I heavily rely on Kodak films whenever I want to shoot color : Portra 160, 400, even 800 if I need to take some pictures indoors. 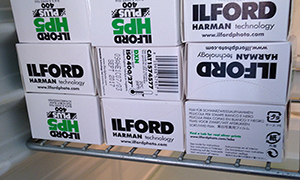 I always have a few rolls of cheap 135 films when I need to feed some of my Lomography cameras. 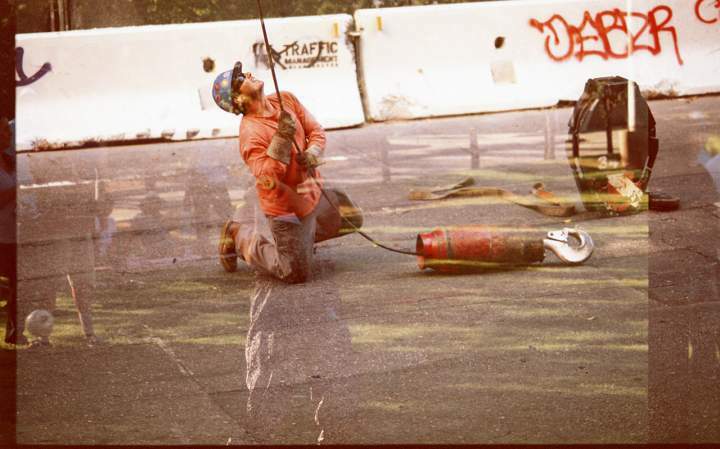 I also find myself experimenting with Lomography products such as the redscale film, as well. 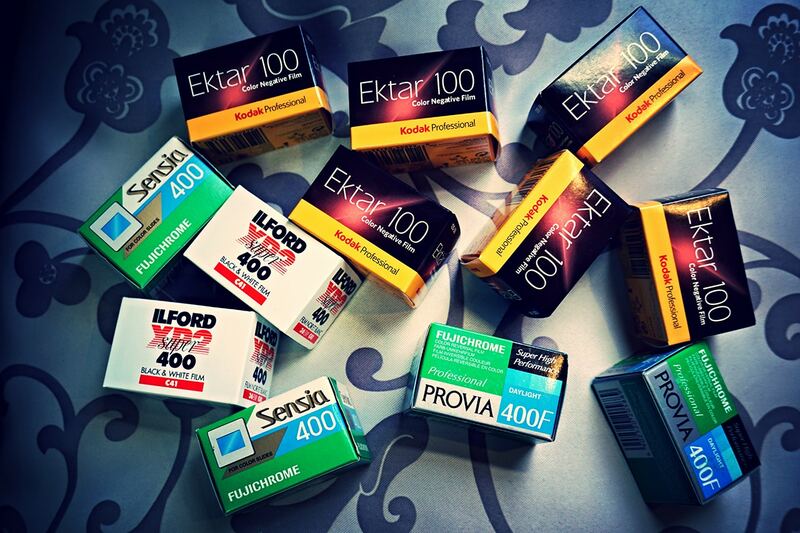 I have many instant films in my stock. You can see a bunch of special Instax Mini editions, some of them being a great choice when I’m taking pictures of the kids. 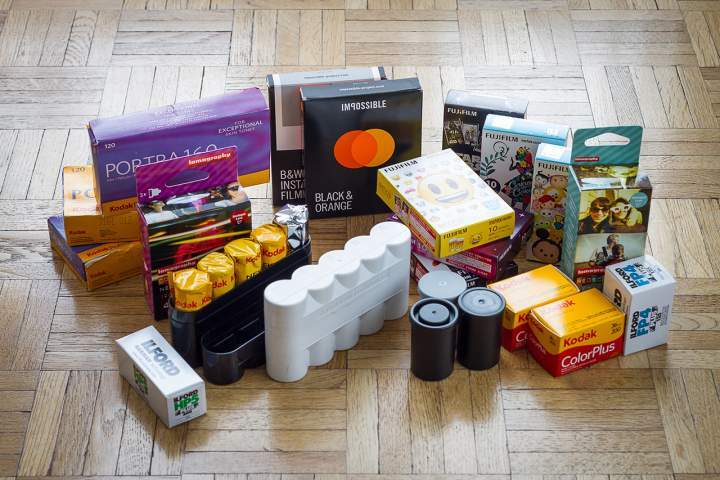 They’re not exactly cheap but I like to keep a few cartridges of Impossible Project films as well. I appreciate the wide range of films available for the Polaroid 600 cameras, and willingly try the IP’s newest additions to the roster when they come out. There’s a nice mix of vintage and novelty that make them intriguing and unique. 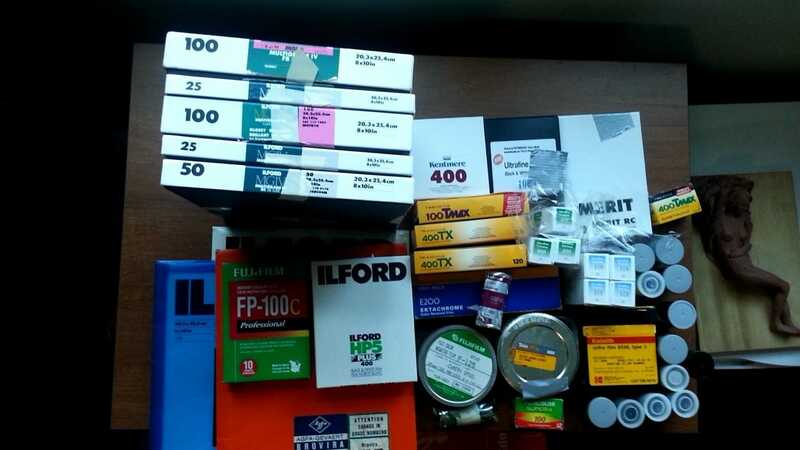 I’m currently cleaning my fridge and storage, this is my student stash, consisted of darkroom papers, polaroid, 35mm films, 120mm films, and 4×5 films. 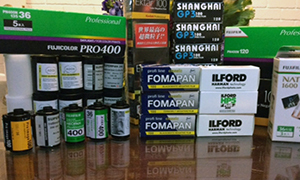 I like to shoot B&W, but still keep some color films just in case of my temptation to shoot color. I’m Sean and this is my stash. I only shoot 135 and 120. But I will always try something I haven’t tried before. 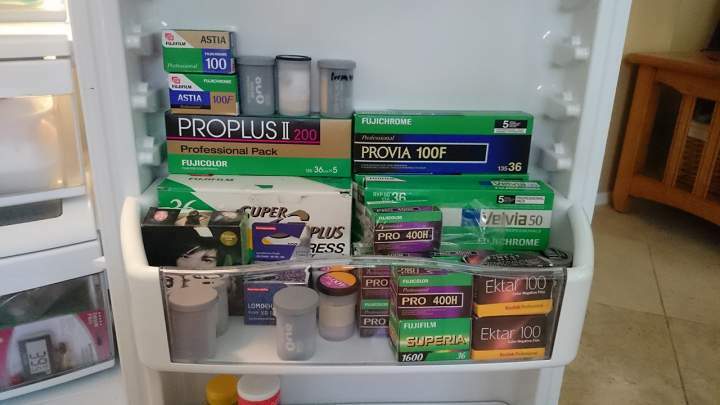 As you can see from my fridge door I have all the 35mm rolls that are still in production so if i need something quick its right there easy to grab. 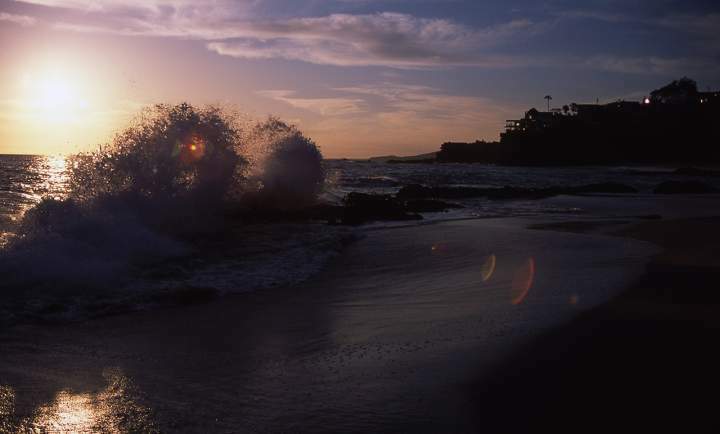 I mostly love using lomo 800, provia 100f, kodak Hawkeye, portra 400 to name a few. 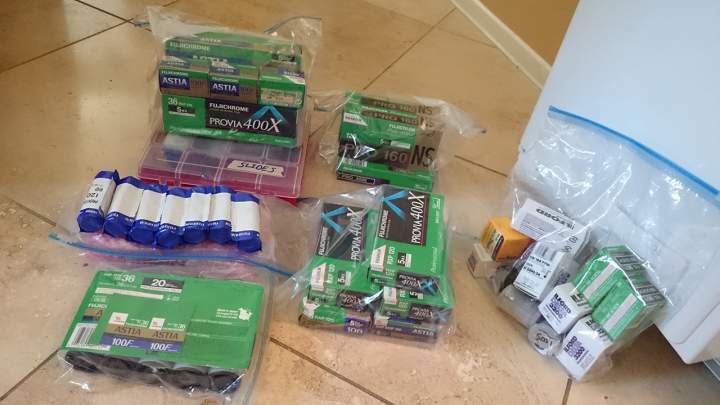 Everything sitting on the floor came from the bottom drawer of the fridge so it can stay colder for stocks that are discontinued like provia 400x (which i think is very unique) and astia 100f which i have quite a bit of. Also the bag off to the right is all B&W ilford delta 3200, arcos and a few more. 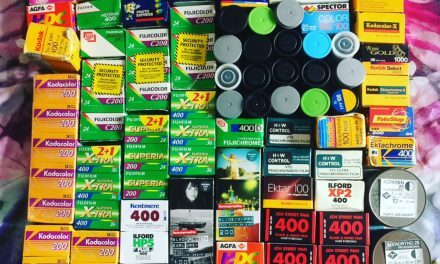 September 2016 will be a whole year of me shooting film. Ive learned so much. I love using my canon T90 and Nikon F4 for pro stuff but for vacations and personal occasions i like my canon T70. I have a huge selection of FD lenses that i bought for my sony A7S and other video cameras so i decided to try a film body for fun, it basically changed my life! From there began my collection. For all my medium format needs i use a Fuji 6×4.5, i have a texas lieca but i hardly ever use it because of not being able to focus properly most of the time. 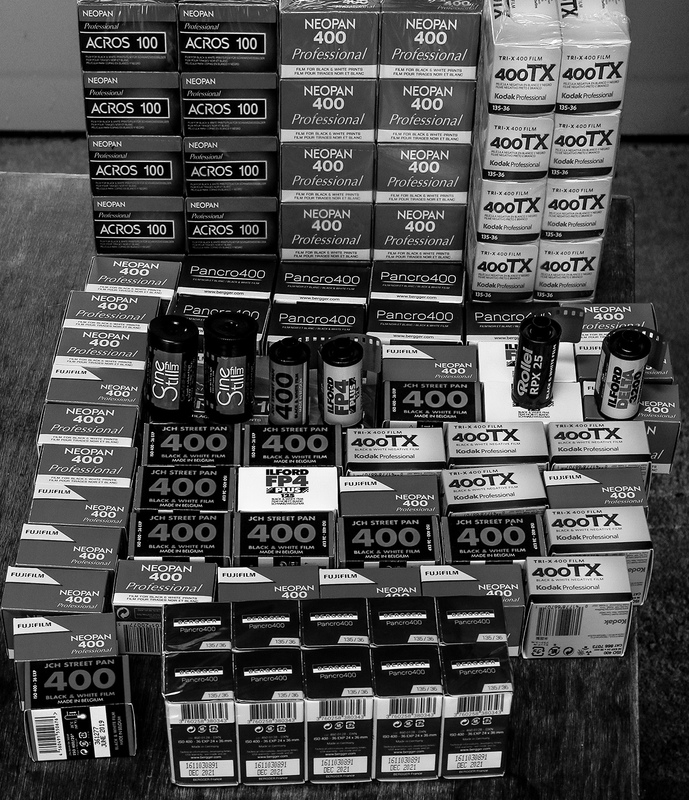 Here is a black and white photo of my mostly black and white film supply. I certainly own my passion to you and your site. Keep up the good work.